"Where shall we buy bread, that these may eat?" 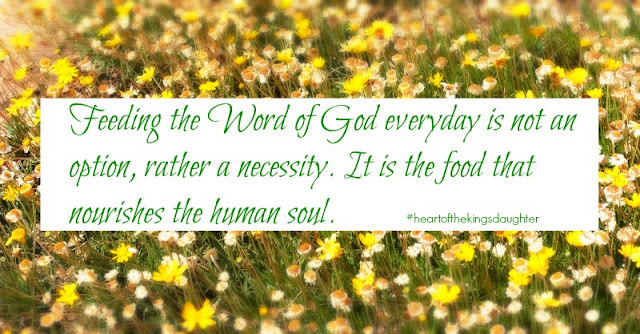 The beginning of John 6 talks about the feeding of the five thousand. When Jesus saw the big crowd, His first words were, "Where shall we buy bread, that these may eat?" He asked this question not because He didn't know what to do or where to get the food supply. He asked this question to one of His disciples (Philip) to test him. Philip responded of how not enough two hundred denarii is to buy that much food to feed all the people. Another disciple, Andrew having heard of what Jesus and Philip talked about came into the picture and told Jesus about a boy who has five loaves of bread and five fishes. Yet like Philip, he also compares and worries of how little there is available to feed the huge crowd. As I was reading these passages, God spoke to me. The scene that happened in these passages is the same exact situation I am currently struggling. It's been several days that I have been thinking about a new project I want to do for a business. I worried about budget. I want to purchase "new" tools, but do not have enough money to purchase them. I have tools I can use, but I want to get new ones thinking that it will help me make better and creative designs. Because part of me worries about budget, my focus is divided. But thanks be to my God, who supplies all my needs! Reading what happened in the feeding of the five thousands, God told me exactly what to do: utilize what I have. That's what Jesus did. He used what was available. And how did the miracle happen? He gave thanks to the Father as He distributed the bread and fish to the people. The giving of thanks was the key to this miracle. One of the things I really like on what Jesus did is telling His disciples to tell the people to "sit down." It means to "rest." Makes me think of Jesus telling me what to do when worries of supply overcomes me. He's like telling ne, "Hey, watch me. This is what you need to do. Gather what you have. Relax. Give thanks to the Father." As simple as that. My part is to believe that what I asked for, He supplies. Faith that is. I thank the Lord for this revelation. With His grace, I know what to do and I worry no more. What do you believe is the greatest knowledge of all? Everyone has his own opinion with his own reason. I tell you mine. 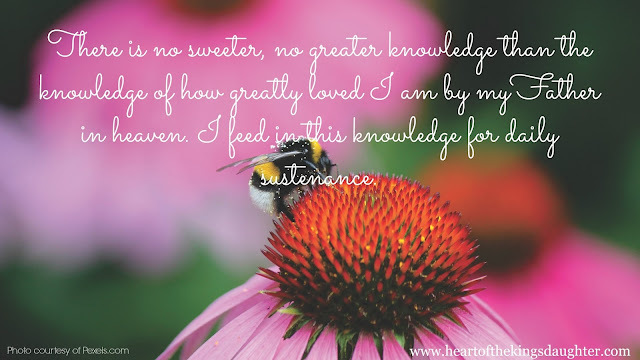 The knowledge that I am so dearly loved by my Father in heaven is the greatest knowledge of all. I hold on to this truth. 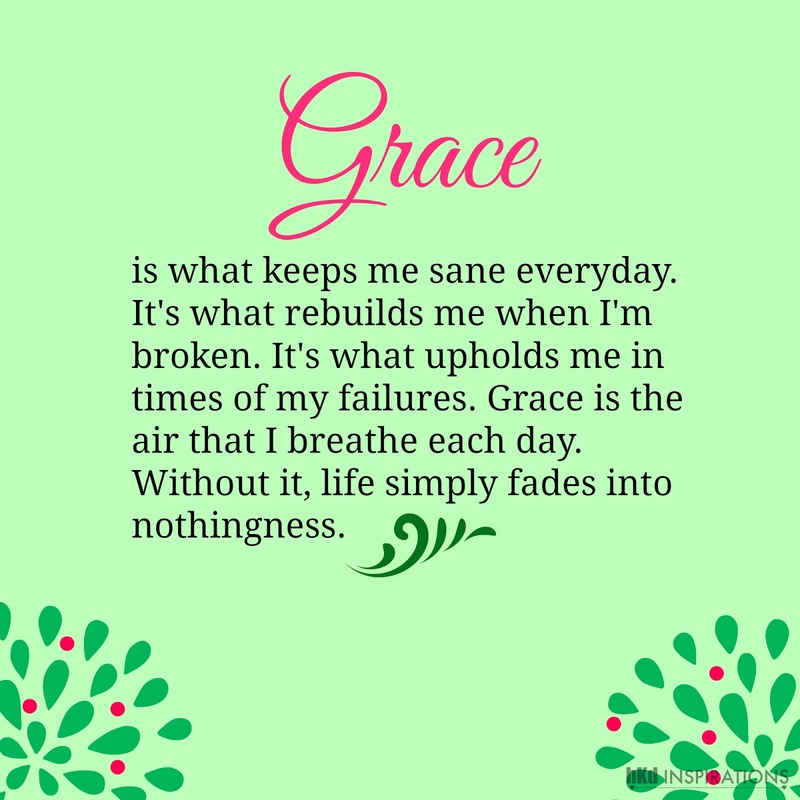 By His grace, I (try to) practice it everyday. I have to remind myself of this truth each day, specially on moments where heart is tempted. Who and what can measure the love of the Father for His children? To try or even think is futile. 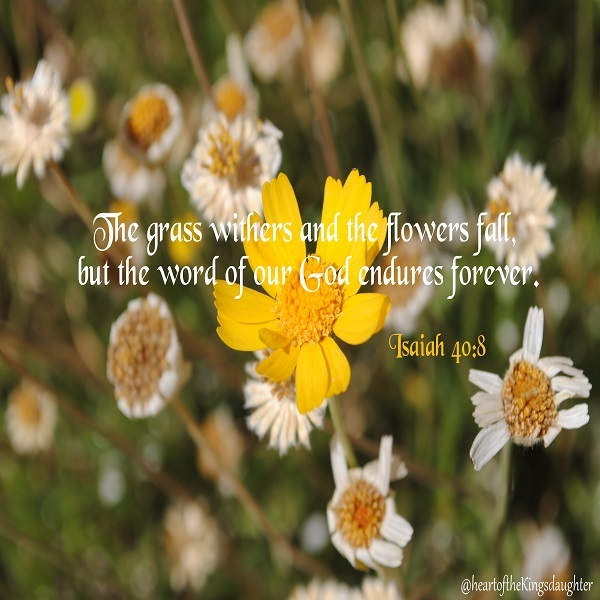 I rest in His Word instead, and I am satisfied. I love, love how the Apostle Paul used different terminologies just to explain the depth of God's love for us in Ephesians 3:17-19. Even the great Apostle is out of words. "And I pray that you, being rooted and established in love, may have power, together with all the Lord’s holy people, to grasp how wide and long and high and deep is the love of Christ, and to know this love that surpasses knowledge—that you may be filled to the measure of all the fullness of God." There is not enough words and no human mind can fully measure the love of God for us. Superlatives are insufficient. The understanding of great minds are puny to grasp. However, the Apostle Paul's prayer is quite re-assuring. People who are "rooted and established in love" can have the power to understand the immeasurable love of God for us, His children. These people are the ones who acknowledge the sacrifice and found the love of the Lord Jesus Christ. People who remained in His love and grace. Also noticed how he said, "together with all the Lord's holy people." This statement emphasizes the importance of the community of believers coming together. We need each other to understand His love. 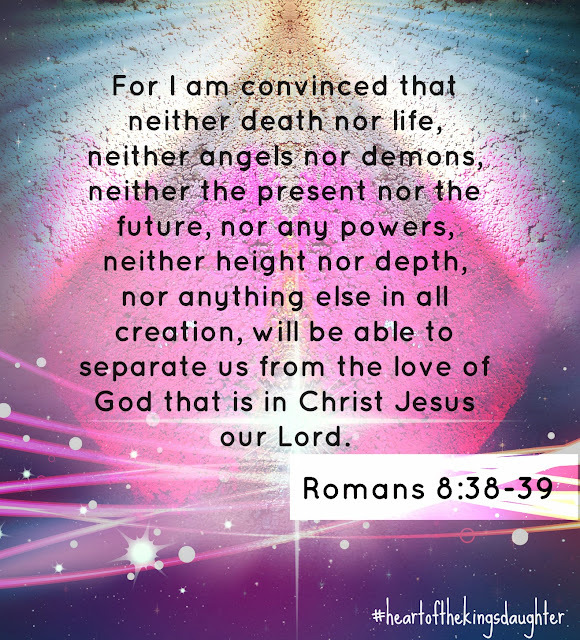 We cannot perceive His love by ourselves. We need to share the love to understand. 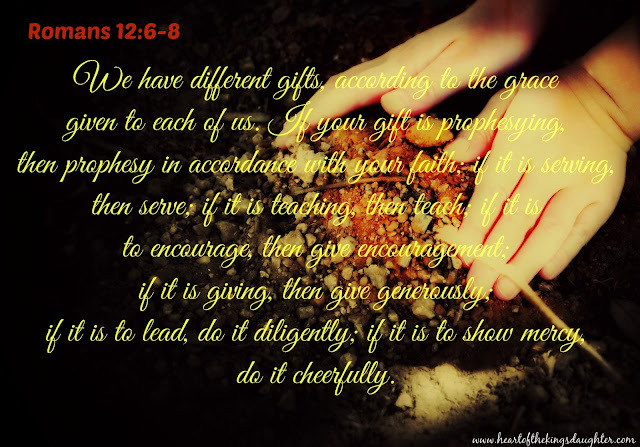 The experience of giving, of receiving, of sharing the love imparts us understanding. Not by human knowledge, but by the understanding of the heart. The Apostle clearly spoke, that the love of God "surpasses knowledge." If we try to grasp the love of God just by studying it, our effort to do so ends in vain. Our inner being has to experience His love to understand, for the mind alone is never enough to fully receive the revelation of the Father's love. What knowledge in our life do we hold dear? Is it a knowledge that stays today and gone tomorrow, or a knowledge that goes with us through eternal? Let us cling to the latter. Awesome! Great! Mighty! Powerful! Amazing! Wonderful! Whose carnal mind could fully comprehend Your nature? Who really are You God? I wrote this blog more than a decade ago (planning to move the old blogs I wrote on this website). 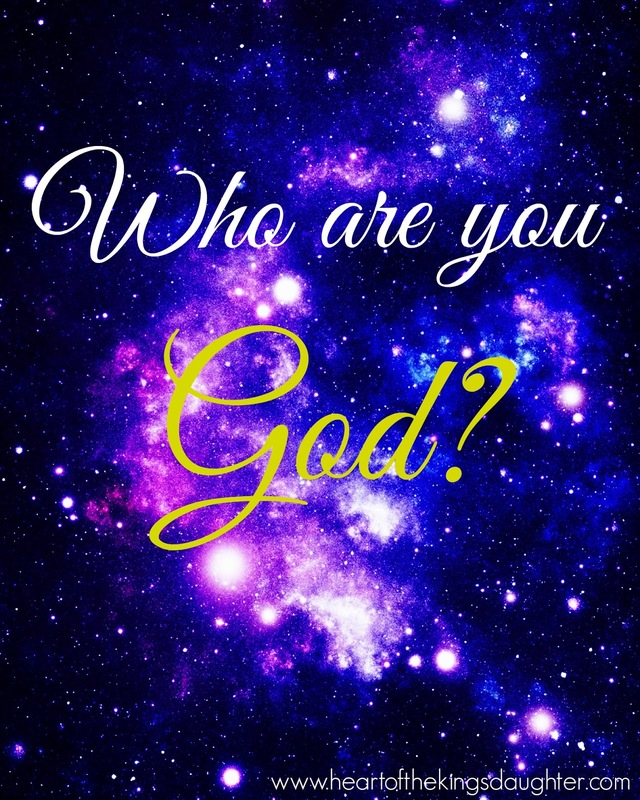 I wrote this blog at the time my heart started to long to know who God is. As I re-read this blog, some words caught my attention. I just smiled of how limited was my understanding of God then. Years had passed, as I continued to get to know Him more, I've known so many of His nature I was not aware of before. My God is not an "enigma," "mysterious," nor He keeps Himself hidden. He reveals Himself to those who seek Him. 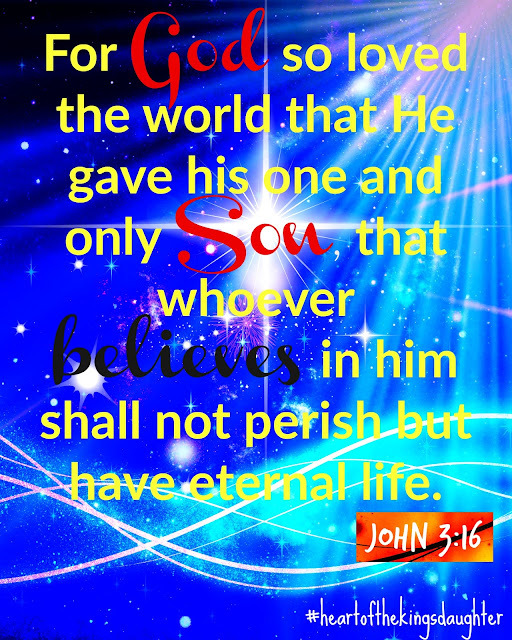 He unfolds His essence in the person of His Son, Jesus Christ. 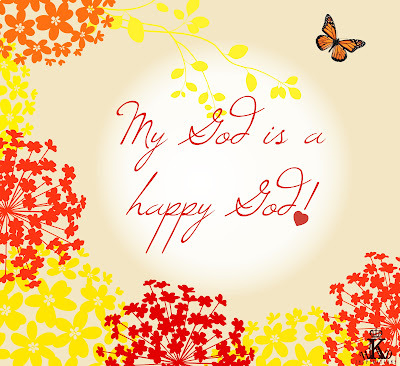 God is my Father, who lavishes me with many, many good things in His perfect love. My heart's desire is to know Him more and more. Life goes after its truest meaning the older it gets. While young, life pursues its worth on things the eyes behold. Things that satisfy fleshly cravings. People. Materials. Worldly matters, temporarily gratifying what it's truly seeking for. Mundane things suffice. For some time. Life, you are meaningless without knowing who you really are. Who you belong to. You find everything pointless. As you ripen, the soul inside you groans. A piercing groan you cannot ignore, lest you become an aimless wanderer. You search for something deeper. Something of a profound essence, no material nor human being can compare its value. You ask, "Where, oh where can I find such thing?" You look for the thing the eyes cannot see, ears cannot hear. For you, Life, is eyeing on the same worthless things you hold dear. No matter how you contend there is non-existent God who created you, deep, deep down, there is a void inside you waiting to be filled. An empty space. Do you feel it? Yes, you do. Every human being goes through it. The One who created you, intentionally formed and embedded that special hole in your innermost soul. You ask why? Because of His love for you. Because He knew. He knew one day you will go astray, away from His care. Away from His love. Oblivious to His goodness. Yet a day will come, when that empty space inside you screams to burst. And when the appointed day takes place, the hunger inside you burns like fire. A searing longing. Uncontainable. You cry out to quench its demands. You cry out to fill that space...desperately. It was made for that purpose, so you Life, will look for Him. Hush you life. Hush you mind, burden with questions. Hush you flesh glutted with arrogance. Incline your ears to your heart. Listen to its whispers, for it knows what your soul exactly longs for. It is the one deeply hooked to another beating heart. The heart of the Father beating for you even before you were formed in your mama's womb. This revelation inside may feel too much for the heart to bear. Feels like exploding. Take a deep breath, feel the tightness loosen. Cry. Let it out. Don't hold back the tears to refresh the soul; the barren, thirsty soul, waiting for so long to bathe in His washing. Refresh in the washing of the One who gave up His life for you. 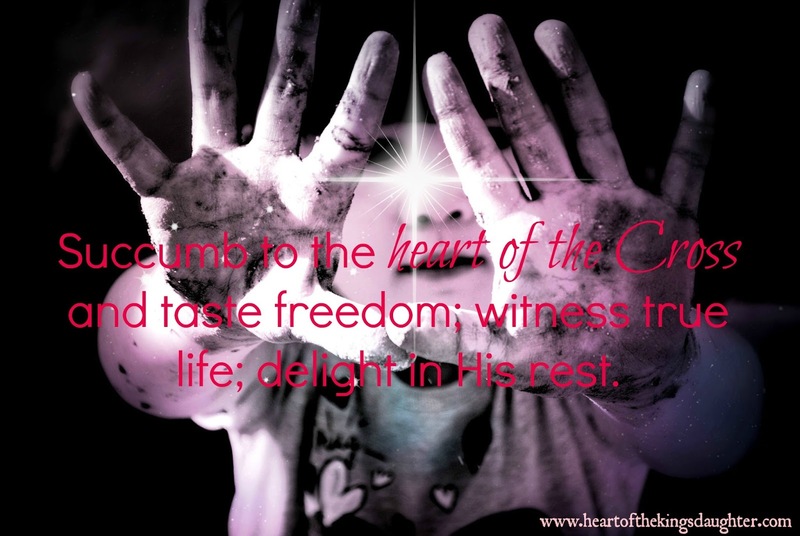 Succumb to the heart of the Cross and taste freedom; witness true life; delight in His rest! You are the Father's, and the Father is yours. You belong together. He did everything out of His perfect love to take you back home. 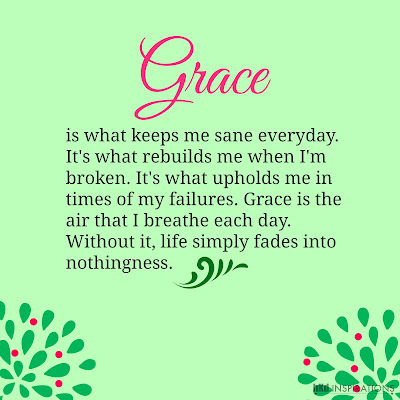 Wrapped in the fullness of His grace. Resting in the glory of the Cross. Come home, Life. Home to the One who first loved you -- Jesus. In my own opinion, John 3:16 is the heart of the story between God and man. This verse sums up the message God longs to reveal to His children. 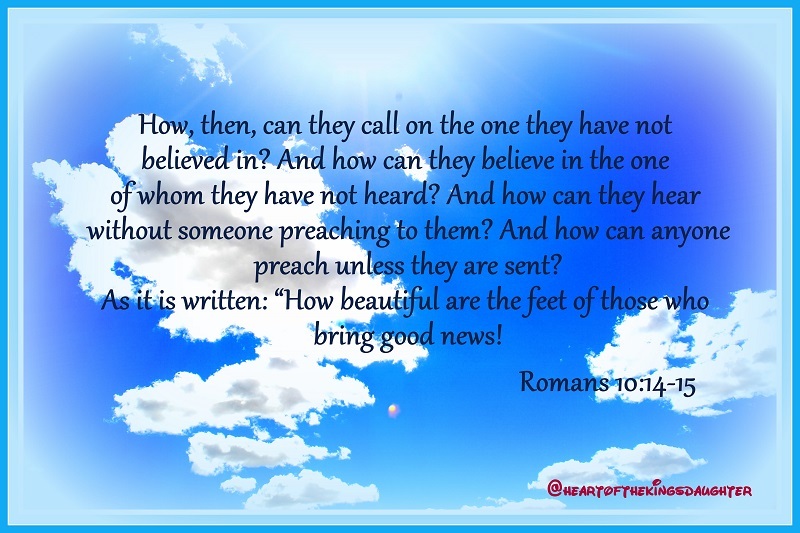 If every person spends time to meditate and believe the truth this Good News declares, no sheep gets lost. But we live in a fallen world where many hardened their hearts to receive the love the Father offers. Or could it be, no one told them about it. Something needs to be done. Time to move and do the work. 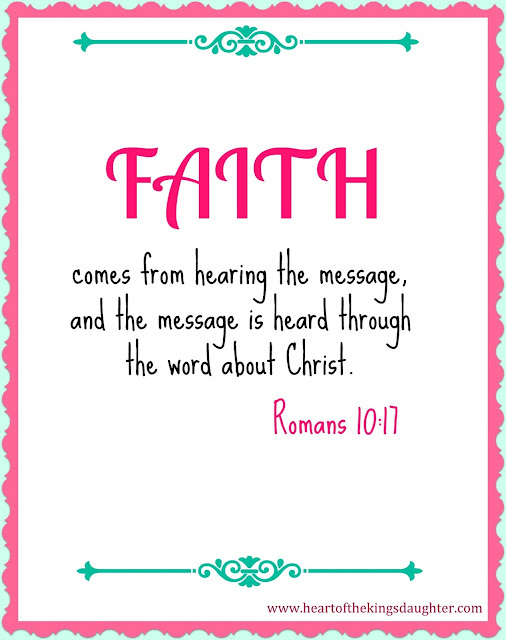 This verse is one of my favorite Bible verses. I love the confidence the message conveys. Knowing that nothing in heaven or on earth can cause my Father to not love me, delivers my fear of crumbling into nothingness. If there is anyone I want me to love me, it is my Creator. The good news is, I have His love. The love my heart desires. It is the kind of love that never waivers, never changes, no matter what. The words that come out of our mouth matters. More so in our conversation with those who do not have Christ in their heart. We cannot be a beacon of God's love when judgment looms our mouth. 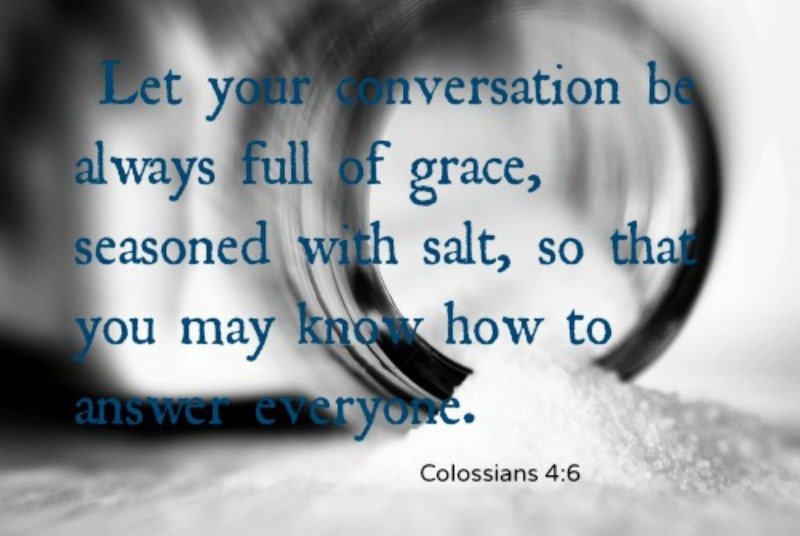 Words of encouragement, understanding, acceptance, and affection help us illuminate the light of Jesus in their life. How easy it is to say to somebody, "do not be anxious about anything." What person does not get worried about the things in life? Where can you find such person? I worry a lot of things. My family, specially. As a mom, I worry about the safety of my girls. I worry about the health of my husband. I worry about finances. I worry about the well-being of my family from miles away. I worry a lot of things, big and small. However, reading what is written on Philippians 4:6-8 makes a difference on how I must approach this issue. This passage reminds me of how I can slay the concerns of my mind that give me nothing, but a sense of defeat. 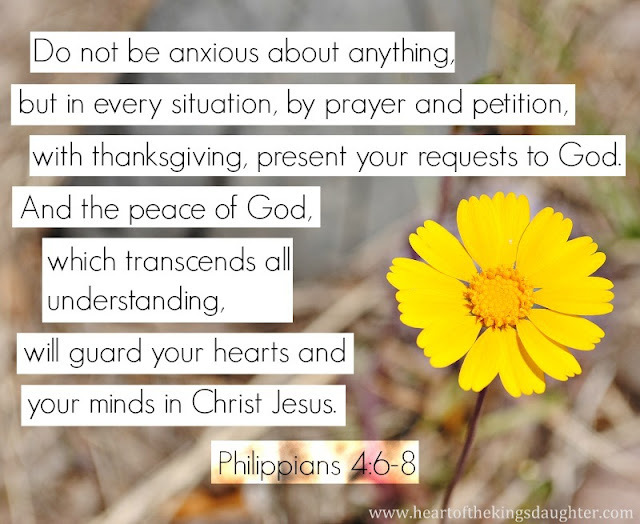 The Father knows that there are times we get anxious about something. But He doesn't want us to feel lost when we are caught in the situation. 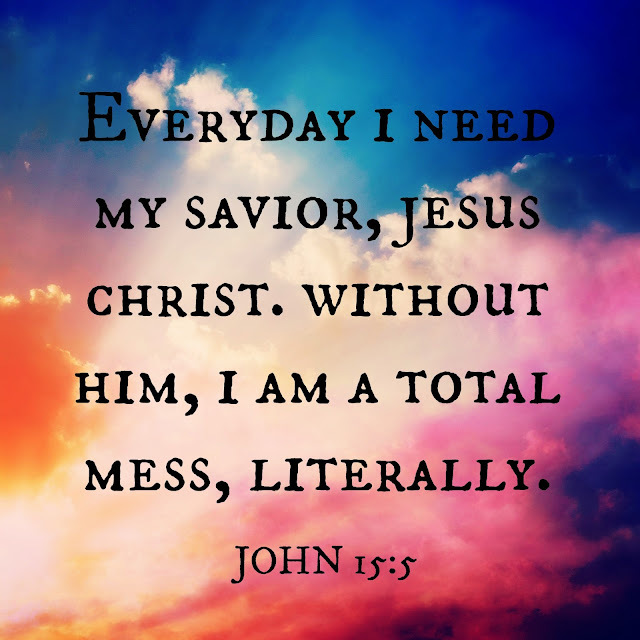 He gave us encouragement on what to do whenever we find ourselves falling in the trap of mental and emotional distress. What must we do? Simply lift up our concerns to Him with thanksgiving and praise. Surely He will guard our hearts and minds. He promised to give us His shalom, peace.